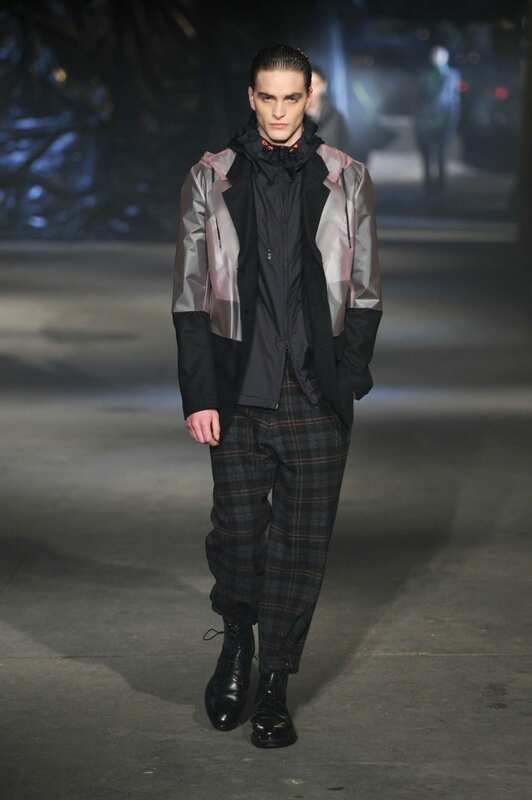 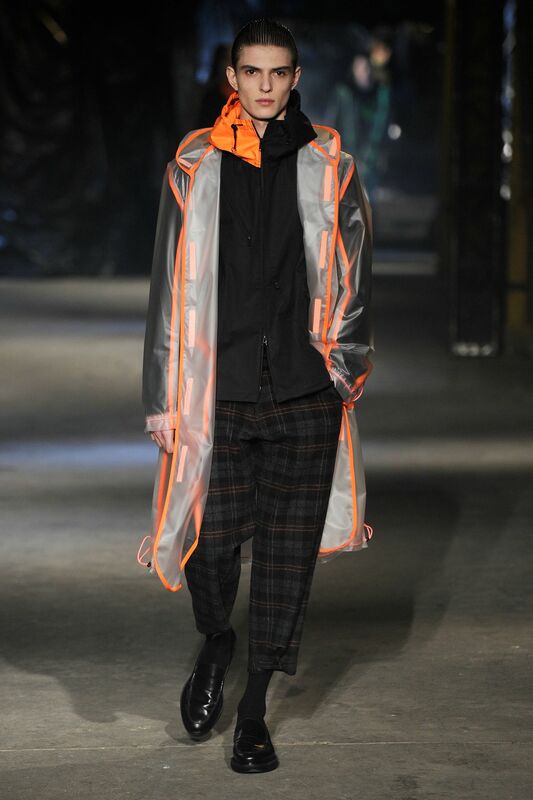 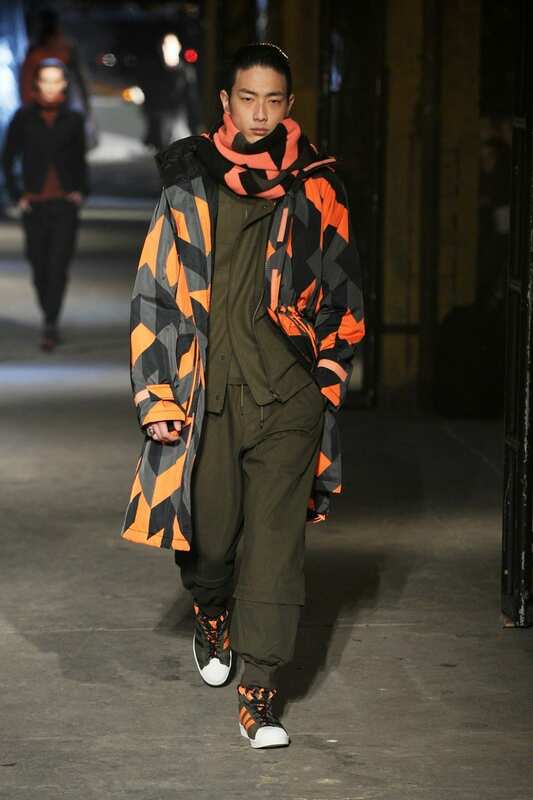 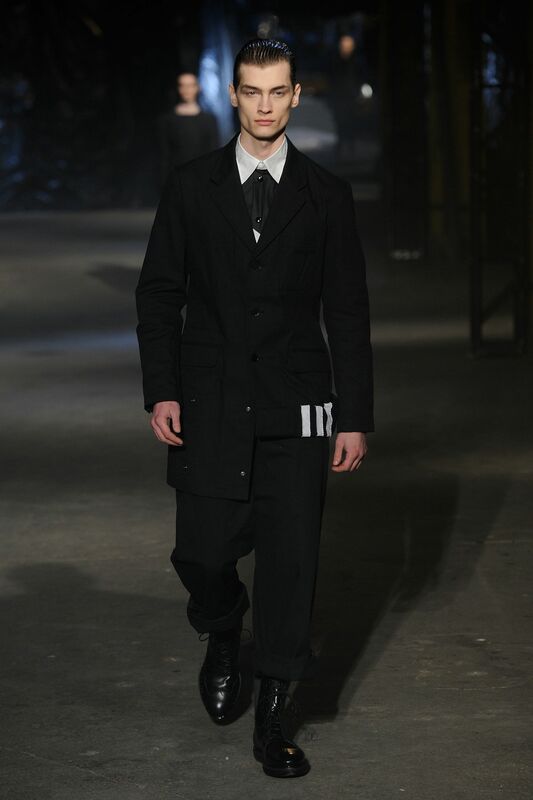 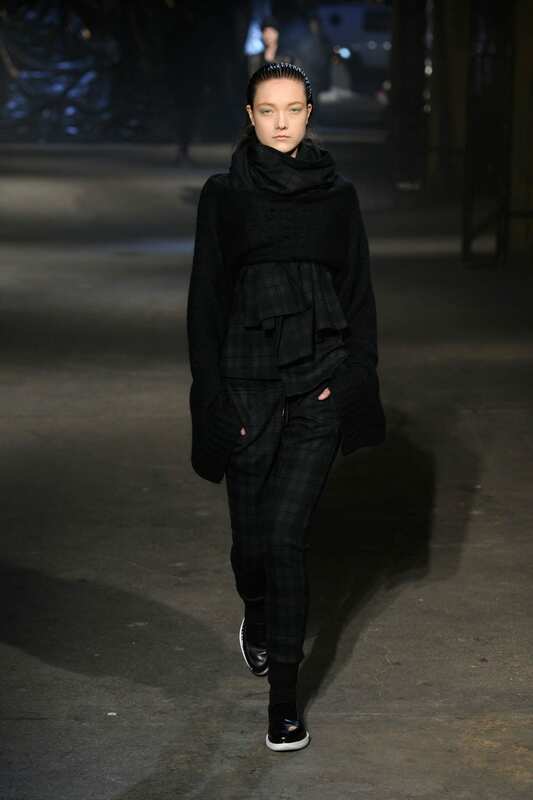 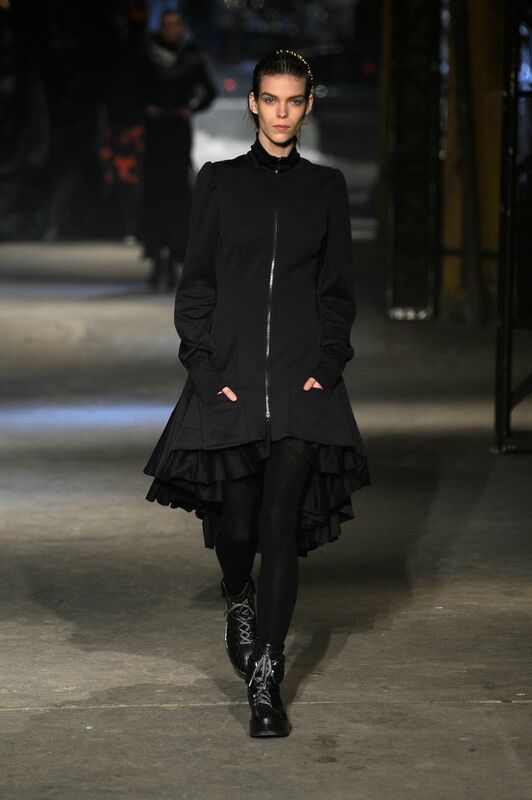 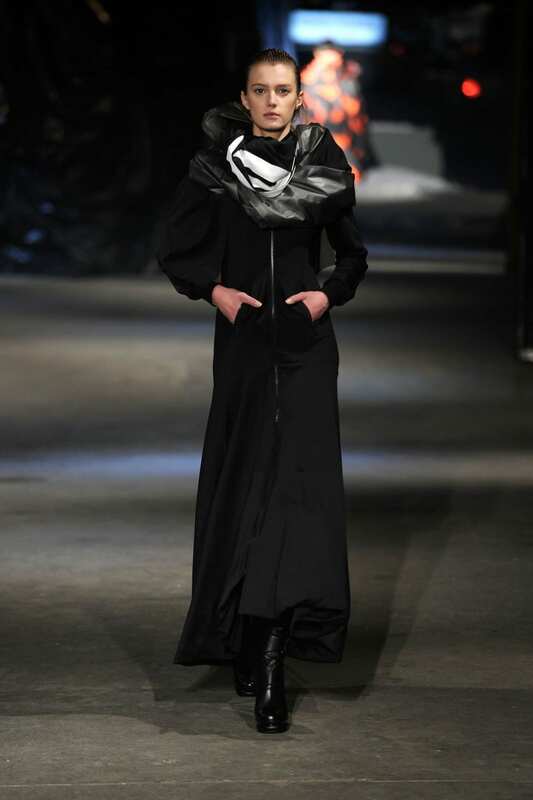 This season, Yohji Yamamoto’s concept was “future thrift”, and how it imagines coming generations mixing elements of technology and tradition. 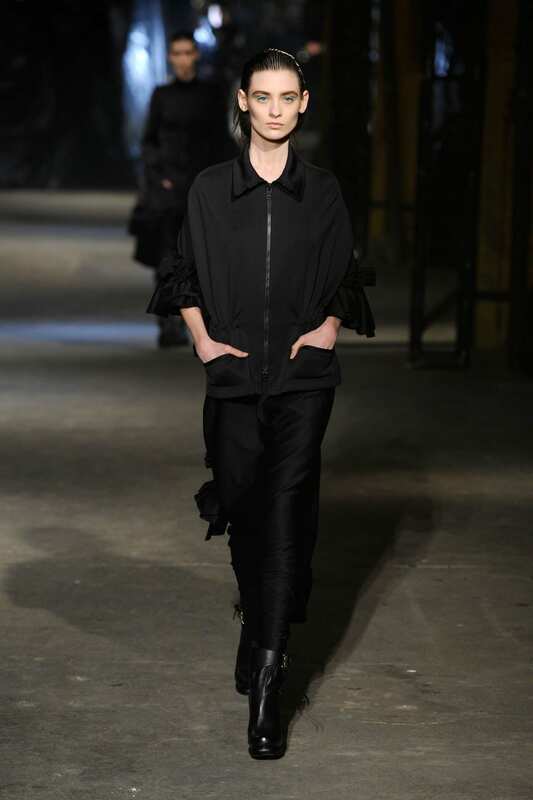 The women’s collection illustrates an emphasis on a feminine silhouettes: shown in defined shoulders, nipped waists. 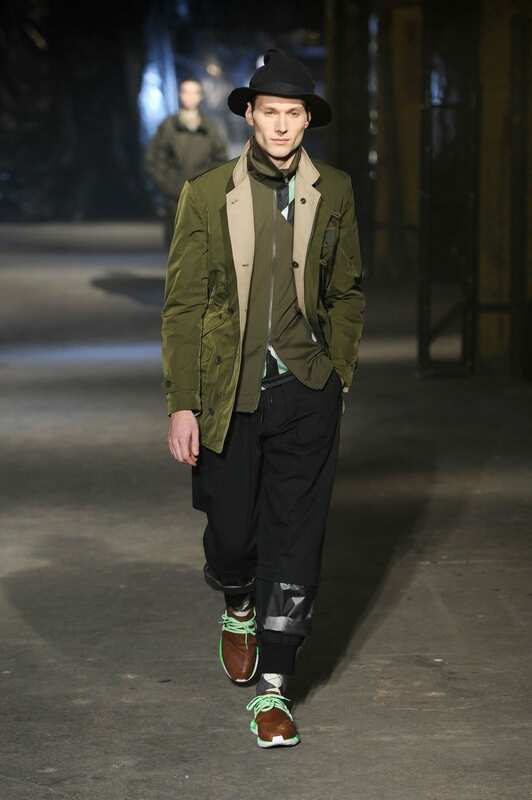 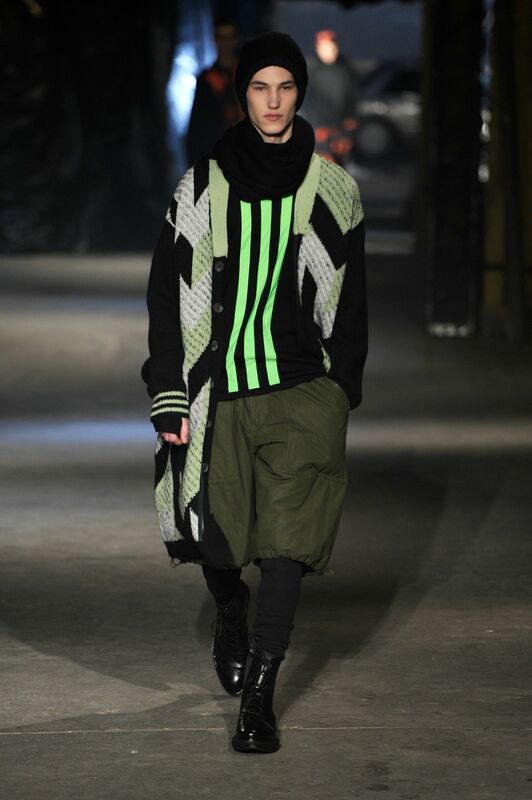 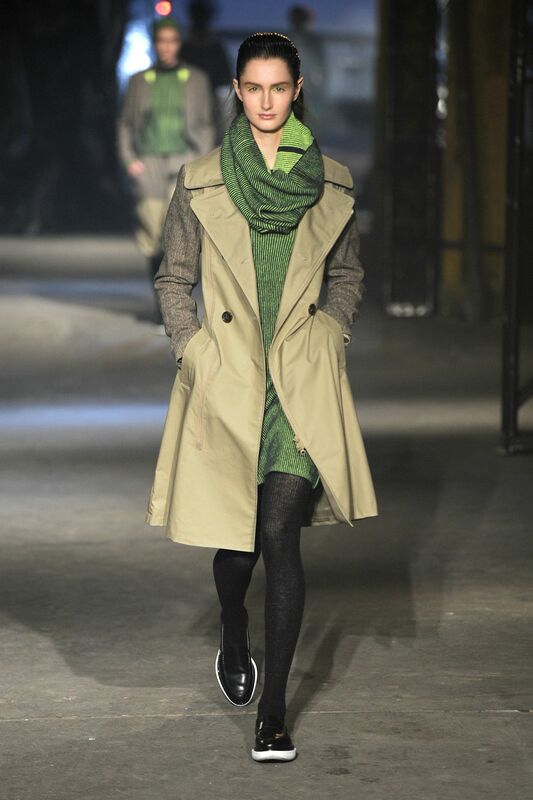 Menswear followed a theme of bold and bright hues found in graphic prints like the neon-stripe knit shown.